If you are homeless, have been homeless in the last two years or at risk of becoming homeless, you can access our services for free. Crisis Skylight has been established for over 50 years and has supported thousands of people out of homelessness. They offer education, training and support within hostels, day centres and community venues across Liverpool, St. Helens, Wirral, Sefton, Knowsley and Halton. 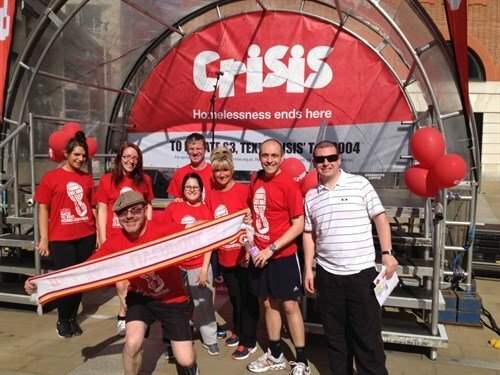 Crisis is an organisation that aims to end homelessness. They offer support and advice on benefits and employment, health and wellbeing, housing, and legal rights. Crisis highlights the dangers and implications of rough sleeping and those affected. Opening Hours: 08.30 - 18.00 Monday, Wednesday, Thursday and Friday and also 08.30 - 20.00 on a Tuesday.